What is a Palomino PUMA UNLEASHED? Browse Palomino PUMA UNLEASHED RVs for sale on RvTrader.com. 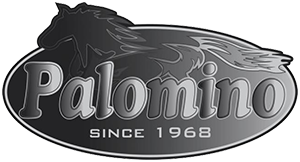 View our entire inventory of New Or Used Palomino RVs.  RvTrader.com always has the largest selection of New Or Used RVs for sale anywhere. 2019 Palomino Puma Unleashed 384FQS, Palomino Puma Unleashed 384FQS toy hauler highlights: Sleeps Four Two Entry/Exit Doors 12' 6" Separate Garage 21' Electric Awning with LED Lights Private Bedroom This Puma Unleashed toy hauler lets you enjoy the great outdoors and modern comforts at the same time. With its single slide, this trailer gives you extra space to lounge and relax on the U-shaped booth dinette while dinner is getting prepared on the 3-burner range top in the adjoining kitchen area. The queen-size bed in the front, private bedroom is the perfect spot to take a quick afternoon nap in order to regain strength for the excursions to come. If you are looking to feel at home wherever you roam, then this Palomino toy hauler is exactly what you need. Because of its ability to store both large cargo items, as well as you and your luggage, this trailer gives you the best of both worlds with separate garage and living spaces. While you are relaxing for the evening, the 32" LED TV will entertain you, and the various safety features, like the carbon monoxide, LP, and smoke detectors, will give you peace of mind. If you prefer to spend your evenings lounging outdoors, the best place to do so will be underneath the electric awning with LED lights. 2019 Palomino Puma Unleashed 381FTB, Palomino Puma Unleashed 381FTB toy hauler highlights: Private Bedroom Double Entry Doors 12' 7" Separate Garage Bath and a Half If you love the great outdoors and want to enjoy it even more with your favorite off-road toys, then check out this Palomino Puma Unleashed 381FTB fifth wheel! It features plenty of space in the 12' 7" separate garage, where you can add the optional queen bed electric lift to provide more space to add extra members on your adventure. You won't have to worry about any "potty dances" either thanks to the bath and a half in this unit. Between the overhead cabinets and kitchen pantry, you can bring along all of your favorite camping goodies and enjoy a late night snack as you watch your favorite movie on the 40" LED TV at the entertainment center! If you are looking to feel at home wherever you roam, then one of these Palomino toy hauler fifth wheels are exactly what you need. Because of their ability to store both large cargo items, as well as you and your luggage, this fifth wheel gives you the best of both worlds with a separate garage and living spaces. While you are relaxing for the evening, the 40" LED TV will entertain you, and the various safety features, like the carbon monoxide, LP, and smoke detectors, will give you peace of mind. If you prefer to spend your evenings lounging outdoors, the best place to do so will be underneath the electric awning with LED lights. 2019 Puma Unleashed 351THSS Toy Hauler This is a brand new floorplan from Puma with living space like a standard fifth wheels but with an enclosed garage in the back. No more fumes getting into your living area! What really sets this units apart inside is the interior! This unit has the look of a unit twice the price. 3,700 lbs carrying capacity, Sleeps 10. Comes standard with gen prep and transfer switch. Options Included: FREIGHT INCLUDED Value Shopper Package Advantage Package XL Edition Package #2 Puma Power Package NEW - Solid aluminum entry step 30 lb. LP bottles 50 Amp service w/2nd A/C prep 2nd AC in garage 40" shower with glass doors Roof ladder Folding grab handle Bath Skylight Oven 15,000 BTU Ducted A/C NEW - Solid aluminum entry steps Double electric track queen beds 30 Gallon fuel pump station Zip screen Aluminum wheels Radial tires Black tank flush Carbon monoxide detector Weighs 9,500 lbs. MSRP $53,399. Trades Welcome. 2019 Palomino Puma Unleashed 351THSS, Palomino Puma Unleashed 351THSS toy hauler highlights: Private Bedroom 11' 8" Separate Garage 20' Electric Awning Double Entry Doors This Puma Unleashed toy hauler is your best option for traveling the great outdoors. Because of the queen-size bed in the front, private bedroom with pocket doors to save on space and the U-shaped dinette, this trailer can sleep six people, and you won't have to worry about how to feed these people when you find yourself in the midst of the forest because this trailer comes stocked with a 3-burner range top and 6 cubic foot double-door refrigerator, and clean up will be a breeze with the stainless steel sink with a high-rise faucet. If you are looking to feel at home wherever you roam, then one of these Palomino toy hauler fifth wheels are exactly what you need. Because of their ability to store both large cargo items, as well as you and your luggage, this fifth wheel gives you the best of both worlds with a separate garage and living spaces. While you are relaxing for the evening, the 40" LED TV will entertain you, and the various safety features, like the carbon monoxide, LP, and smoke detectors, will give you peace of mind. If you prefer to spend your evenings lounging outdoors, the best place to do so will be underneath the electric awning with LED lights. 2019 Palomino Puma Unleashed 381FTB, Puma Unleashed Toy Haulers offer you the best of both worlds. Camping and being able to bring your toys along for the adventure. Whether you are going to the outback, beach, or mountains, your Puma Unleashed Toy Hauler makes your journey a comfortable and exciting outdoor adventure the entire family will never forget. So load up the family and the toys and go RVing, today! 2019 Palomino Puma Unleashed 351THSS, 2019 Palomino Puma Unleashed 351THSS Puma Unleashed Toy Haulers offer you the best of both worlds. Camping and being able to bring your toys along for the adventure. Whether you are going to the outback, beach, or mountains, your Puma Unleashed Toy Hauler makes your journey a comfortable and exciting outdoor adventure the entire family will never forget. So load up the family and the toys and go RVing, today! Features May Include: Stone Decor Woodgrain Flooring Smoke Maple Cabinet Doors Electric Awning w/LED Light Strip 32" LED TV Prewired for Solar System LED Lighting 13.5 BTU Ducted A/C 6 CF DBL Door Refer Beauflor Lino Bedspread Bedroom TV Hook-up TV Antenna w/Booster and Cable Hook-up Mini Blinds ABS Tub Surround Bluetooth FM/CD/DVD Soundbar w/Internal Sub Woofer Glass Range Cover Undermount sink w/Cover Enclosed Underbelly Outside Speakers 6 Gal Gas/Electric Water Heater Outside Shower Night Shades Spare Tire Microwave Roof Ladder Folding Grab Handle Bath Skylight Oven New Generation RV sells throughout the United States and Canada. In store pick up or delivery to your door is available at reasonable rates. We are committed to offering unbeatable value in RV sales and service with a desire to give greater value than our customers pay. All new RV’s purchased at New Generation RV are backed by strong manufacture warranties, our Premier Service Team and our “STATE OF THE ART” Service facility. We have nation wide relationships to help you wherever you travel. New Generation RV is a Burlington RV dealership located at 5712 392nd Ave Burlington, WI 53105 While we attempt to ensure display of current and accurate data, this listing may not reflect the most recent transactions or may reflect occasional data entry errors. All inventory listed is subject to availability. Please consult dealership personnel for details. Prices may not include dealer preparation, transportation, taxes, or other applicable charges. Photographs may be representative only and may vary somewhat from the actual items offered for sale.